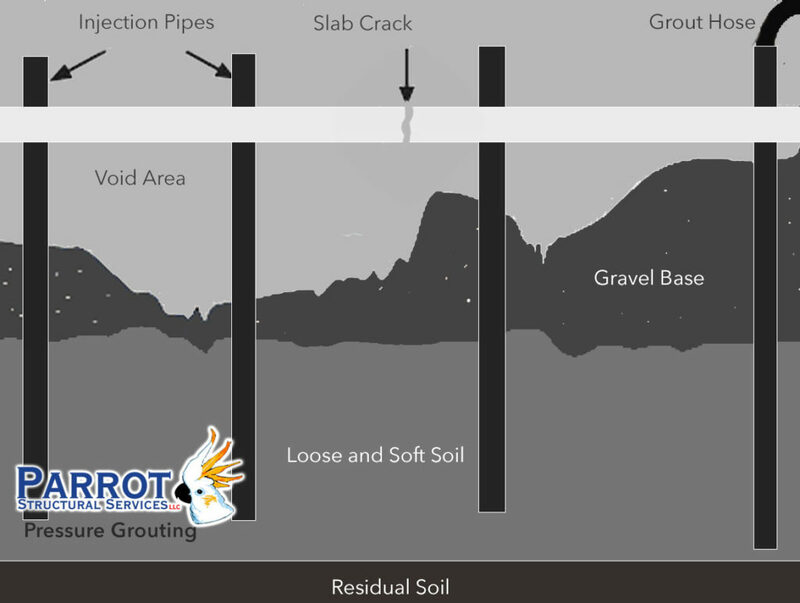 Pressure grouting involves injecting a grout material into generally isolated void space of which neither the configuration or volume are known, and is often referred to simply as grouting. The grout may be a cementitious, resinous, or solution chemical mixture. Pressure Grouting has many applications that include void filling, pipe abandonment, concrete slab lifting, and soil stabilization.